Warlord Games had a sale on over the last week or so. 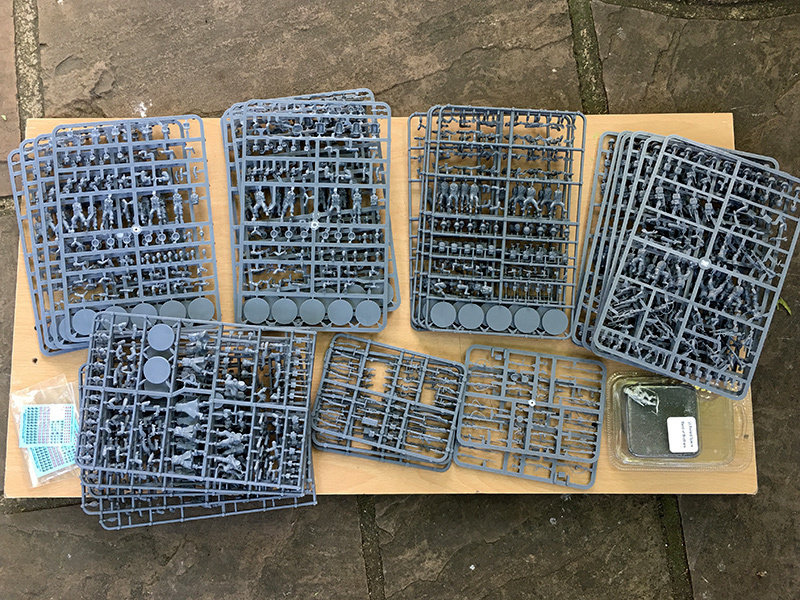 50% off on individual sprues. You couldn’t get the whole range but there was a nice selection of Bolt Action and Ancient plus some Pike and Shot stuff. I last got a load of sprues during their sale around Christmas and got to boost my Bolt Action armies. Unable to resist the offer I got some more. 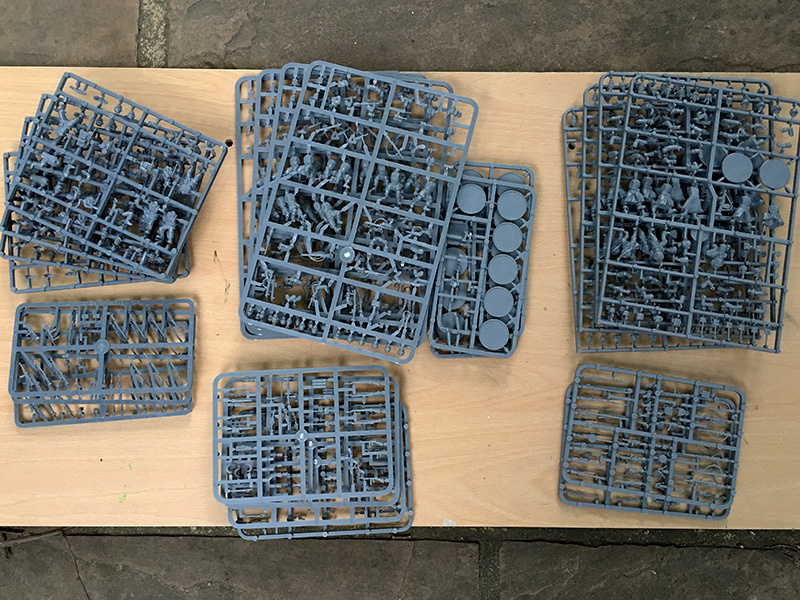 plus a few weapon sprues, US Airborne decals and a free metal Airborne sergeant. The Russian Winter infantry will be for a new army while the others are to bolster up armies I already have. The order arrived about 6 days later; Warlord aren’t the quickest, I mean when you buy something online you want it the next day, right? The seem to have extended the duration of the sale which proved too tempting and I put in another order the following week. 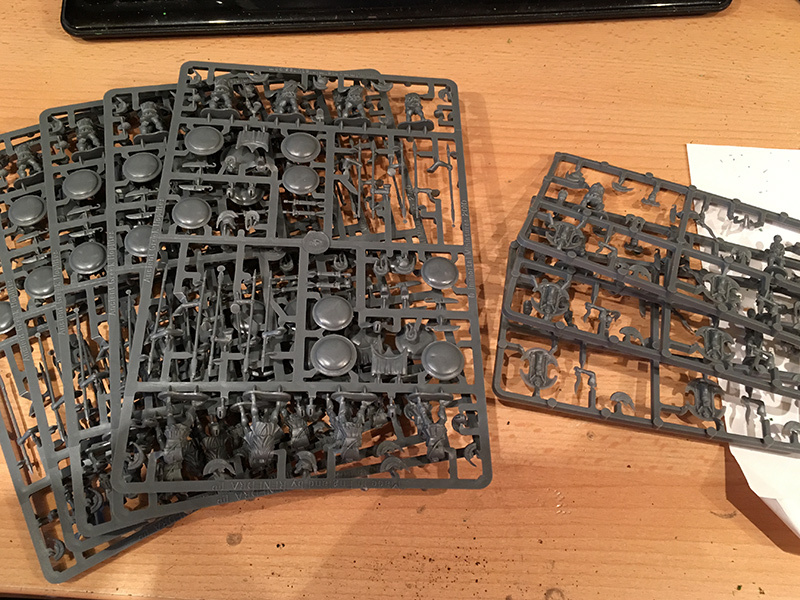 plus some more weapon sprues. I could easily have bought some more, especially Ancients as I’m in need of plenty of troops to go against my big collection of Romans, but thank goodness the sale has ended. I better start saving for their next sale, I hope it’s not too soon.